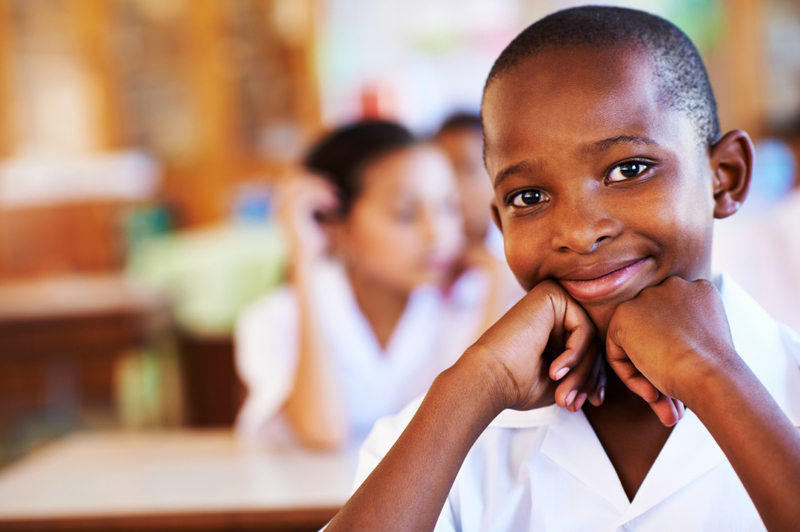 So what happens to the academically gifted young children from Black and Brown communities? This is a real question that must be asked and answers demanded. For many families of color, their greatest dream and perhaps their greatest asset is the potential of their children to find their way into the economic mainstream of America. Many lower income and first generation families endure sacrifices, working two or more jobs, while still trying to attend parent meetings, work with children on homework, all while fighting the inherent racism they face daily that is now undeniable in the society. But when these families entrust their children to public school systems with low expectations that are apathetic and indifferent – they may be giving away the only treasure they have. In too many urban centers and many rural communities, we find schools that are well below state standards. You will often hear the usual excuses for the low test scores, ranging from blaming parents, to blaming students, to blaming other schools, blaming the test and of course blaming funding. These excuses are not just from those desperately trying to maintain the status quo. All sides are pointing the finger at someone else. I have heard so many sickening remarks during my time in education from people who will tell you how progressive they are; or who they voted for; or how important “the work” is; or how much they can relate to the plight of the poor unfortunates they get paid very well to serve. But throughout this short time in education, I have had the intuitive notion, proven by on-the-ground experience and deep dives into data sets, that the systemic indifference and this misplaced sympathy was more than a mere annoyance. In fact I have come to realize that these low expectations and cultural distance are destroying lives and damning many communities to intergenerational poverty. Massachusetts is the leading state in the nation for educational outcomes for public K-12 school students. As a close observer of the state, it is apparent that they have done many things right and their successes in student outcomes can be attributed to many smart, dedicated educators and state officials that believed in accountability, rigorous standards, school choice and strong oversight of schools both district and charter. I have been fortunate to have met many of the pioneers of the Massachusetts education reform movement and they are impressive in their dedication to growth. But State officials in education in the Commonwealth will often talk about the lingering and persistent problem of the “achievement gap”. It is a continuing conversation that has hidden meaning to those of us that observe the policy makers in action and understand the cultural nuance of the many communities within the state. This “achievement gap” is a much friendlier label than I have heard sitting in meetings where people speak freely, given that I am usually the sole person of color, nondescriptly sitting in the back of the room. But data does not lie. I often say SHOW ME THE NUMBERS and so let’s look at one dataset. In 2014 across Massachusetts most 3rd graders in public schools took the state’s math accountability test called the MCAS. The 68,000 3rd grade math test takers did well with about 68% scoring proficient or advanced. Let’s look at results based on the racial subgroup classifications used often. White students, accounted for the majority of 3rd graders in 2014 at about 64% of the total. African Americans were about 8% of 3rd graders. Latinx students were about 18%. White 3rd graders did well in math with 74% scoring proficient or advanced. African Americans scored 49% proficient and above, while Latinx scored 50% proficient and above. In 2014 results in 3rd grade math outcomes were relatively good for many students. But for a much smaller group of 3rd graders their results were excellent, obtaining a PERFECT score (100%) in math. Out of the 68,000 3rd grade math test takers, 6%, about 3,900 kids, aced the test with perfect scores. The state, like most education policy, reports results based on “sub-groups” of race/ethnicity. If we look at how these top scoring students performed within their respective sub-group we find that of the total number of White 3rd graders, 6% , got a perfect score in math in 2014. Among Black 3rd grade test takers 2% got perfect scores. Within the Latinix subgroup of 3rd graders, 2% got perfect scores. The Asian subgroup had 13% achieve the top score. Now between their 3rd grade exam in 2014 and their 6th grade exam in 2017 much had changed. The state test had changed twice and the 2017 math new MCAS test for 6th grade was much more rigorous and challenging than it had been previously, which lowered the number that were proficient or advanced in 6th grade from 60% in 2014 to 49% in 2017. So, many families across the Commonwealth were stunned by the decline in their children’s academic results in 2017. Many students that were advanced in 3rd in 2014 found that in 6th they were simply proficient or in the new terms used in 2017 just “met expectations.”. A whole cohort of children over the three year period experienced a decline in their academic standing due to the enhanced rigor of the new 2017 MCAS test. But for those 2014 3rd graders that got a perfect score, the decline exposed other issues beyond the conveniently claimed “achievement gap”. These top performing children among White, Black, Latino and Asian sub-groups achieved the perfect score in 2014 on one of the most rigorous tests in the nation, so their starting point was the same. But for these high scoring Black students in 3rd grade, only about 18% remained in the top tier 3 years later in 6th grade math. The others fell to second tier or lower in 6th. For Latinx students with perfect scores in 3rd grade math, only 16% were scoring in the top tier by 6th. For White students with a perfect 3rd grade math score, 37% remained in the top tier in 6th. Education data is not easy to interpret or understand. Many states use this complexity to hide actual results from parents and the public. Luckily Massachusetts, through many administrations, believes in making a good amount of data publicly available. When we dig deeper into this cohort of top students we see a tragedy in process. Even though these Black and Latinx students had a perfect math score in 3rd, their ongoing annual growth through to 6th declined for every subsequent year when compared to their White and Asian peers. Massachusetts like many states measures annual student growth which compares students of similar academic performance in one year with their results in the following year. This number is referred to as the Student Growth Percentile (SGP). SGP is measured on a scale from 1 to 100 with 50 representing the average growth for students of similar achievement. Massachusetts educators look at SGP to determine individual student growth and they look at the aggregated average to determine a class, school, district or state growth. An SGP over 50 means that students are growing faster than their peers. Well under 50 and they are growing slower or falling behind their peers. Peers are defined each year as academically equivalent groups of students across the state. So in 2015 the top scoring students from 2014 were grouped together for the purpose of determining their 4th grade SGP. The math SGP results show that for each year after 3rd these top performing Black and Brown students grew at a much slower rate than their peers. Their White peers had a mean SGP in math of 48, 49 and 57 for 4th, 5th and 6th grade respectively. All years growing academically with SGPs close to or above 50 which means they would generally maintain their academic place in the top tier relative to their peers. But for Massachusetts’ top scoring Black 3rd graders from 2014 their mean math SGP was 32, 39 and 46 for grades 4, 5 and 6. In other words these top performing students after 3rd grade each year fell further and further behind their 3rd grade peers of top achievers. Digging deeper into the data, for top Black students in urban schools their SGP dropped even further to 26, 34 and 41 for grades 4, 5, and 6, falling far behind from the top ranks they held in 3rd. Black males in urban setting had SGPs of 26, 35 and 34 for grades 4, 5 and 6 respectively. By the time they reached the 6th grade the bright trajectory they may have had in 3rd grade had dulled considerably. For the Latinx top scoring 3rd grade students that tale is similar. Their SGP of 39, 41, 44 for grades 4, 5 and 6 also indicates slower growth with a large drop off in the 4th grade. Latinx in urban schools had mean SGPs of 36, 38, 39 for grade 4, 5, and 6 which over time would move them out of the top scoring category in math. Latinx urban males had SGPs of 33, 34, 37, falling far behind peers in every year. By the time they had reached the 6th grade they would have experienced a drastic drop in performance and outcome from their 3rd grade top scores. These results are devastating. It took years to bring it to the attention of the few policy makers that would listen. Mothers knew that their once bright children were coming home agitated. And those adults that tried to point out the problem were subtly and nearly completely ostracized, by those that wanted to maintain a status quo that relegates gifted children of color to a slower track through a web of failing schools and low expectations. Few researchers seem to care about this high performing group of Black and Brown children with the capacity to do more and to be more. These gifted young kids could be the future leaders needed to transform their communities. But the data is clear, conclusive and compelling. The best and brightest within the Black and Latinx community in the state of Massachusetts are falling behind – not identified, nurtured or supported early enough to stem the decline. We already know that they will face much greater challenges just by virtue of their racial identity. But now we also have conclusive proof that without change they will most likely be relegated to declining academic outcomes with each year of schooling and thus will be added to the seemingly intractable statistic labeled the “achievement gap.” If this is where they are at 6th where will they be at 8th and how many will we get through high school? What a waste. Yes it is true that Massachusetts testing got harder from 2014 to 2017. This we can see from the decline in performance for the overall student population of 3rd graders in math from 74% proficient and advanced in 2014 to 49% proficient and advanced in 2017. But for those Black and Latinx students with a perfect score in 3rd grade math in 2014 – the year to year decline in achievement was disproportionately higher than their White peers. Even though they started from the same “gate.” Perfect scores in 3rd did not at all guarantee scoring in or near the top tier in 6th, especially after yearly declines in achievement that were not experienced at the same rate by their White or Asian peers. What was known for some time was nearly impossible to discuss and even more difficult to conclusively prove without quantitative data. Some officials within the state educational hierarchy, tone deaf to the plight of families with gifted children, erect so many obstacles to those that would challenge the state’s standing as the national leader. In fact, within the state, the systemic silencing of critical voices should be alarming. But there seems to be a cabal that had captured the research agenda, lays waste to critical external voices that have made demonstrable impact on the lives of students but are without the credentials that are unobtainable to those outside of a small very homogeneous circle that is setting policy for a state that is increasingly heterogeneous. If the best and the brightest Black and Brown, the top scoring of our children, are falling behind year after year, as can be readily demonstrated using data, then where will the diverse teachers, doctors, lawyers and culturally competent policy makers come from. And when the current crop of state ed policy makers exclude the voices of parents; or those that have “lived experience”; or those that understand the cultures of the communities or those that have the self directed motivation to serve children that look like them, is it any surprise that the achievement gap persists? Don’t get me wrong. Massachusetts is a great state that can be a model for the rest of the nation. But they have to clean up the calcification that has taken place, that has locked out the voices of parents, communities and people of color. They have to address the elitism that has become pervasive in the bureaucratic halls of education policy. This is a civil rights issue. Our best and brightest must be identified early, nurtured and supported. Black and Brown parents MUST be given other choices and not forced to squander the limited treasure they have vested in their children on any educational system that is obviously failing and that is satisfied with slow incremental change that will doom generations to come. This must also be a wake up call to parents of gifted Black and Brown students. There is a real problem here that is not limited to Massachusetts. I remain hopeful. The Commonwealth considers itself an innovator, a leader in education, not a laggard allowing its present to define its future. And after years fighting to expose this devastating waste of potential, the excuses must end. New leadership in Massachusetts provides some hope that the powers that set the agenda for districts and schools will lift up the rug to see what has been conveniently swept under when it comes to the gifted community and give rise to new hope for the state’s unrecognized treasures – our top performing Black, Brown and White students waiting to be recognized, supported and protected. These best and brightest young elementary school children are the future leaders of communities across the Commonwealth and the nation. Someone has to speak on their behalf because today they are voiceless. If they are left to fail, tomorrow their anger and frustration may slowly push them to accept mediocrity, disengagement, despair, too often ending in drugs and jail. It is not an “achievement gap” we are facing for these gifted children. It is an “achievement cliff” – where the most talented students are pushed off under the watchful eye of so-called friends and advocates.